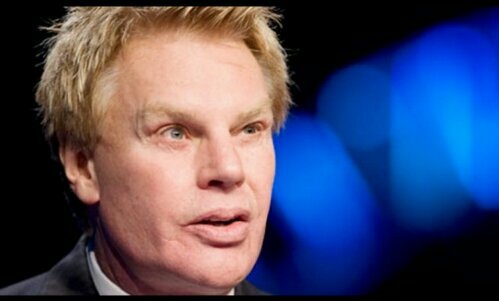 According to the NY Post, Mike Jeffries will stay on as CEO of Abercrombie for at least one more year. He’ll also be getting paid a fat (no pun intended) 7 figure salary. Apparently Abercrombie supports the views of Jeffries, because you don’t hand out millions of dollars to people whose views you disagree with. The move is baffling, but I’ll save that story for another day. What I do want to talk about is the face of Mike Jeffries. He’s on the record basically saying he only wants cool, in shape kids wearing Abercrombie clothes. The fact that a 69 year old is saying this is weird enough, but when you add in the fact that his face looks like an old catchers mitt, the story takes a hysterical turn. Mike Jeffries really has the balls to tell fat people that they can’t wear Abercrombie clothes? Shame on you! You’d think someone who looks like that would try and shy away from the spotlight. Not Mike Jeffries. He trots his Rocky Dennis face and big fat lips out into the limelight and expects people to take him seriously. It’s weird enough that you’re 69 and obsessed with teenagers washboard abs. But next time your out in public or you feel the need to spew your warped views on who should wear your clothes onto the public, do everybody a favor and wear a ski mask. Ain’t nobody got time for that face! P.S. I guess I’m considered fat by Mike Jeffries standards. I’m also a grown man and don’t want wear Abercrombie, but that’s besides the point. Abercrombie, you just lost the business of a customer who makes in or around $25,000 a year. Good luck replacing that. 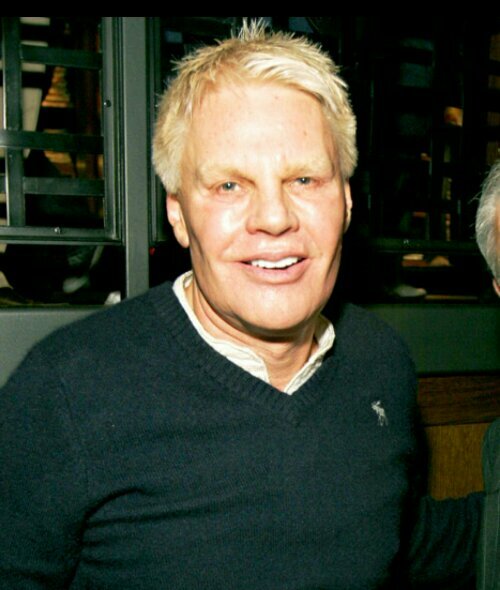 Posted on December 10, 2013, in Average Blog Posts and tagged abercrombie, CEO, jeffries, mike. Bookmark the permalink. 7 Comments. Oh my! I just caught this now. Holy narcissism Batman (or should I say, The Joker…?)!! When I first saw him I thought he was that strange woman Jocelyn Wildenstein who had all that plastic surgery and now resembles a half-lion hybrid “human”. I swear he looks like this lady’s Doppelganger LOL! I know right? LOL The irony here is, that his eyes are so disturbingly padded up with silicone filler that he can’t even see that the adjective fat, simply means “fat” – not ugly! Case in point: Mia Tyler (plus-size model, Steven Tyler’s daughter, Liv Tyler’s sister); Melissa McCarthy (a more beautiful face than even her cousin Jenny McCarthy); Plus-size model extraordinaire, Emme. I could go on here…Maybe it’s an issue with his ability to -understand- both of these adjectives in the English language: Fat, is -fat-. Ugly is, -ugly-. Sometimes both adjectives can be used together but they are not mutually exclusive nor is everyone who is average size beautiful nor every larger person ugly. Maybe he’s intellectually delayed or something…? o_O Or one of his cheek implants slipped into his brain…hmm ROTL!